Strike up the band! July 30, 1944 would be the 2nd anniversary of the WAVES, and the Navy sent out dozens of photographs to mark the occasion. We’ll take a look at some here on our blog in the days leading up to the anniversary. 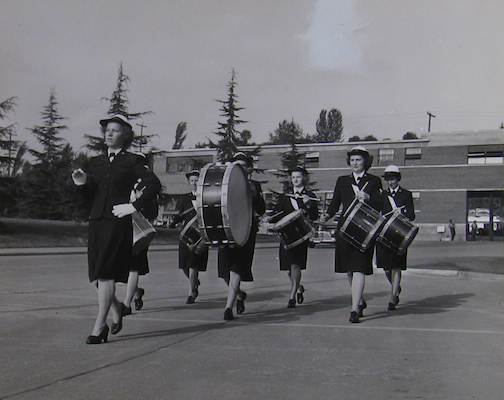 This photograph comes from NAS Seattle, where the WAVES drum corps is marching to celebrate the day. It comes from the National Archives.